Welcome to Shanghai China ! Regarded the largest shipping port in China ,Shanghai Port is an important destination port of many Asia pacific cruises, such as Costa Rica Cruises, Royal Caribbean Cruises, Star Cruises and also used by Diamond Princess, Holland America Volemdam, Oceania Nautica, Celebrity Millennium, Azamara Quest, Arcadia, Ocean Princess, Crystal Symphony and Sapphire Princess etc. which are the most innovative vessels offering passengers an unique way to visit a variety of ports throughout the Asia Pacific in complete style.There are now three main cruise ports in Shanghai which are Shanghai Port International Cruise Terminal,Wusong Kou International cruise terminal and Shanghai Waigaoqiao International cruise terminal. If you are checking and planning your private cruise port transfers, or doing shore excursions or pre/post-cruise tours, this is the right place to start! 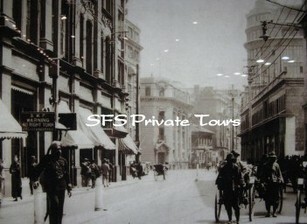 As your private tour guides, SunnyFlower Services can adjust the schedule, duration and activities to meet your needs. Please let us know any of the special requests you have. We will also show you the special things that make Shanghai great in the limited time. ● We only focus on Private/personalized tours rather than the large group tours as we gurantee our tour quality not the quantity. SFS offers Shanghai Shore Excursion Tours : Exclusive Private Tours from the Cruise Ports or Private Transfer Services to any location in Shanghai and cities nearby such as Suzhou Hangzhou and ancient water towns. Click the following tours or send us inquiry today to let our professional travel consultant to tailor made it for you.